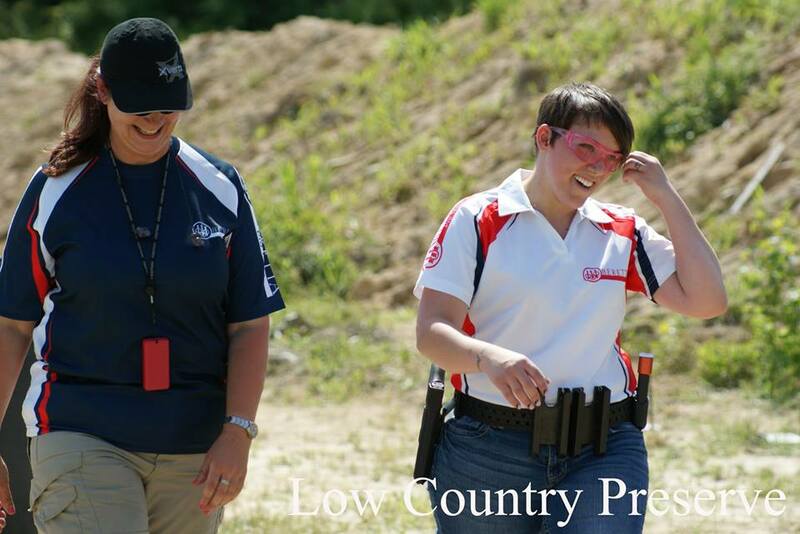 I had the honor of tagging along with one of Beretta's 3 Gun Team members, Lisa Marie Judy, at the Palmetto 3 Gun competition on Saturday May 17th, and all I can say is WOW! 3 Gun is an incredibly rapid growing sport, and I can see why! 3 Gun is the use of, wait for it... three guns; a pistol, a rifle and a shotgun. The shooter who can hit the most targets in the least amount of time is the winner. 3 Gun has multiple divisions and accommodates beginning to advanced shooters. Targets used in 3 Gun Competition can include cardboard silhouettes, steel plates, or clay disks and can range in distance from 1 yard to 500 yards. 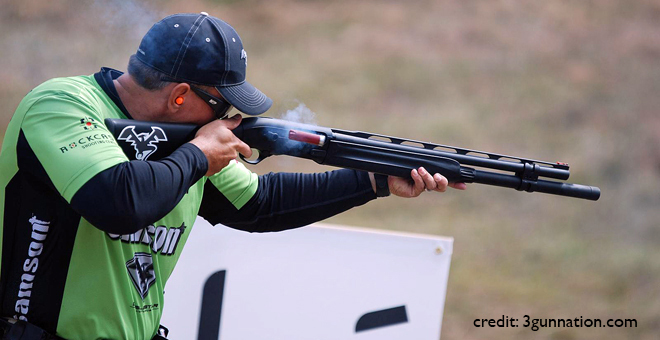 Though the basics will always remain the same, each 3 Gun competition is unique, as they each depend on the person who is organizing the competition. Shooting 3 Gun will never get boring! 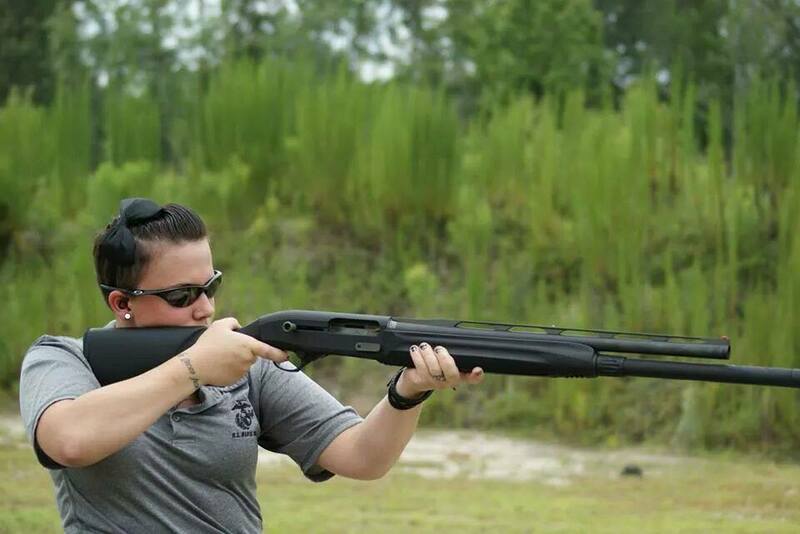 I stepped onto the Low Country Preserve 3 Gun range and was immediately surrounded by good-natured gun enthusiasts. I had no gear, yet by the time it was my turn, I had everything I needed. Lisa Marie had strapped a belt around me covered with magazine holsters and shotgun shell caddies. I felt like I should be in some kind action movie. Match staff persons walked me through each portion of that stage to ensure I knew what targets to engage - and which not. Every shooter around me gave me pointers and tips. Being new and clueless I was expecting to feel a little put out, but it was exactly the opposite. Everyone was so welcoming, helpful and judgement free. I think that has a lot to do with the fact that 3-Gun is based on your performance and not that of others. The only person you are competing against is yourself and the timer, making the atmosphere very laid back and easy going. After being walked through the course, and loading all my firearms and magazines - it was time. The adrenaline rush I felt the second that the buzzer went off was completely incredible. Starting with my hands on the big X's I grabbed my shotgun, and I was off! Moving through each station was almost a blur accompanied only by the pink of the metal targets. Pure Bliss! Upon completion of the stage, I was shaking with excitement and couldn't help but plaster a smile from ear to ear on my face! 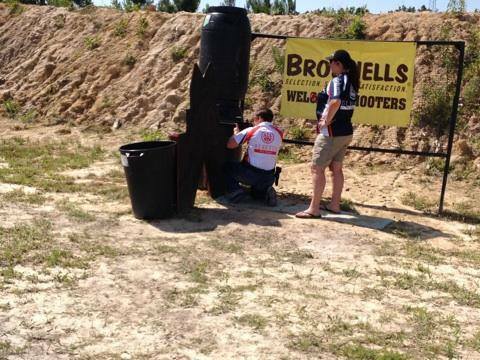 Competing in this event proved to me that sport shooting provides many benefits to firearm shooting ability. I had to aim on the move, reload on the move, aim from different unknown distances and around obstacles. The 3 gun match put a new whole new spin on "going to the range". Instead of standing and shooting at a piece of paper at a known distance of your choosing, 3 Gun requires you to be on the move, use problem solving (there are no-hit targets such and "hostage" situation setups) and apply multiple skill sets all in just seconds. 3 gun is what shooting enthusiasts everywhere have been waiting for! Tiffany “Duchess” Tesmer is your everyday Stepford Wife / Soccer Mom….If Stepford wives and soccer moms are former Marines who like firearms, hunting, tattoos, and mohawks. Duchess has dedicated her civilian life to teaching women self-defense, how to shoot a pistol, and how not to be a victim, all while writing slightly entertaining content about guns, hunting, self-defense and common sense from her ever eccentric point of view.